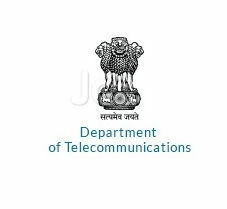 Department of Telecommunications Recruitment Notification 2018.Department of Telecommunications inviting applications for the positions of Assistant Director, Junior Telecom Officers.Interested and Eligible candidates can apply for the positions. iii) Holding a post inPB2 with GP of 4600 in CDA OR holding a post in the pay scale of 16400-40500 in IDA with minimum of 5 years experience in the grade. 3. The period of deputation is three years initially, extendable further up to 5 years or till superannuation whichever is earlier. The deputation can be terminated at any time prior to completion of deputation tenure as per requirement. 4. Notification in respect of vacancy to fill up Assistant Director (AD) and Junior Telecom Officer (JTO) posts in HP LSA, DoT, Shimla, on deputation basis. 5. It is proposed to fill up the posts of Assistant Directors / Junior Telecom Officers on deputation basis from among the staff working in Central / State Government Office / PSUs. The detail of posts, grade pay etc. Office of Sr. DDG, TERM HP LSA, 2nd Floor, Telephone Exchange Building, Boundary Estate, Chotta Shimla171002 (H.P.). 1. The eligibility conditions for selection to the post of Assistant Directors (Ads)/ Junior Telecom Officers (JTOs), brief description of duties and application form is attached at Annexure B1& B2. 2. The terms and conditions for this deputation are attached at Annexure B3. 3. The period of deputation is three years initially extendable further up to 5 years to till superannuation whichever is earlier. The deputation can be terminated at any time prior to completion of deputation tenure as per requirement. 4. The age of the applicant shall not exceed 56years as on the closing date of receipt of application. 5. The pay and terms & conditions for deputation of the officers selected shall be regulated in terms of O.M No. 6/8/2009-Estt (pay II) dated 17/06/2010 and subsequent O.M No. 2/11/2017- Estt (pay II) dated 24/11/2017 of Ministry of Personnel Public Grievances and Pension (Department Of Personnel and Training) and other rules and instructions on deputation as amended from time to time. 6. Only those applications, which are received through proper channel along with attested copies of APARs for preceding 5 years and vigilance clearances, shall be considered for selection. 7. Selection shall be approved by the Head of LSA. The application for the post should reach latest by 17th July, 2018 to the Office of Sr. DDG, TERM HP LSA, 2nd Floor, Telephone Exchange Building, Boundary Estate, Chotta Shimla-171002 (H.P. ).